Creative research methods have a long tradition in the arts and humanities, but are much less familiar in the social sciences. 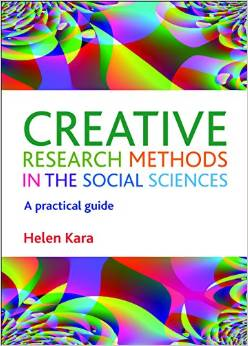 So I’m delighted to see this new book from Dr Helen Kara offer a welcome insight into the growing field of creative research methods for social science research. The book is a positive romp through a whole range of creative methods and approaches. Inevitably this means that the book is wide in scope rather than deep in detail on any one approach but for me this was a plus. The book feels encyclopedic in the care and attention that has been given to documenting references, case studies and examples, providing a vast range of references to works for you to explore at your leisure in more detail as you want. It’s a timely and much needed prompt to all social scientists about the importance of thinking outside of the box and not being afraid to jump out of our methodological comfort zones once in a while. 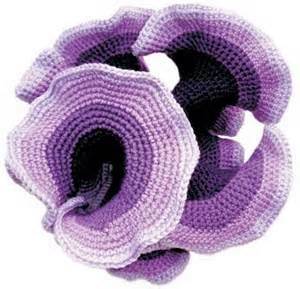 I was particularly taken by an early example of the use of crochet to model the geometry of hyperbolic planes by Latvian mathmatician Daina Taimina. And I was pleased to see concepts like ‘bricolage’ and ‘remix‘ in research being discussed. Creative combinations of methods and reworking established approaches into new and exciting designs are all part of the creative landscape we are encouraged to explore. The book is really thought-provoking, as I read through its pages I found myself considering a wider range of methods than I might normally and if it has the same effect on others we could be in for interesting times. From innovative uses of ‘conventional’ social science methods like surveys or focus groups, through to creative mapping (see for example this video on using emotion mapping in clinical practice with families), performative research, technology enabled research (good to see the #NSMNSS network getting a shout out too 🙂 ) and the use of graphic novels, it urges us to think differently about what social science research looks like. I also like that the book is clear that not all creative approaches to research will be innovative and that you can (and should?) be creative with tried and tested conventional methods like interviews, focus groups and surveys. This is important, especially for applied researchers where research clients and funders may be less open to the more overtly creative approaches of performance and art-based social research. Rather than having chapters on specific creative approaches the book is organised around different stages in the research process, providing guidance and examples of how and why creativity can be built into research design, data collection, analysis and writing. It also does not shy away from the thorny issues of ethics and rigour. The book challenges social scientists to reflect on their methods, to try new approaches and apply some creative thinking. But it doesn’t do so mindlessly, it also reminds us to think about the ethics, quality and rigour of what we are doing as we experiment. I’ll be writing more about creativity later this month seeing as I’m attending a day long workshop on creative leadership this week swiftly followed a day at the Social Research Association’s first conference on creative research methods. But for now, it’s a big thumbs up from me for this book, a great read, one I expect to be dipping into time and time again! 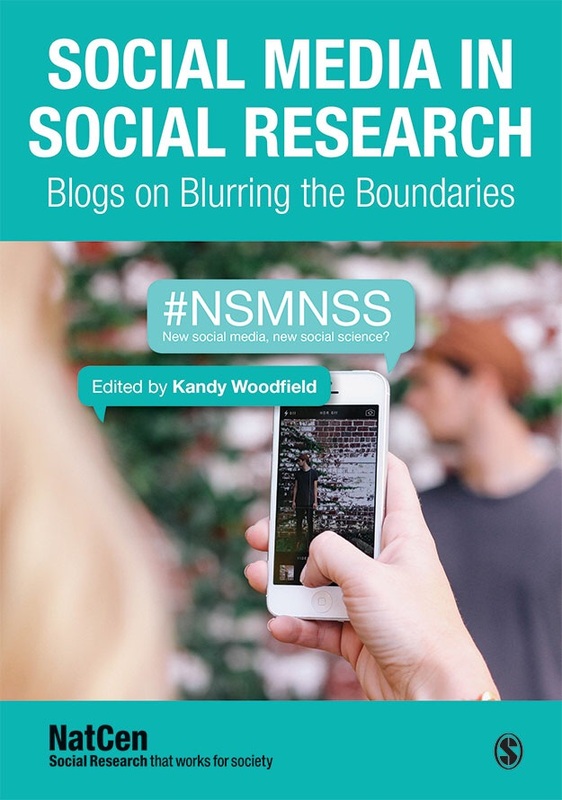 In October 2014 the NSMNSS network published its first ebook, a collection of over fifty blogs penned by researchers from around the world who are using social media in their social research. To the best of our knowledge this is the first book of blogs in the social sciences. It draws on the insights of experienced and well-known commentators on social media research through to the thoughts of researchers new to the field. In this post I reflect on the process of creating that book. A version of this post was also published on the NSMNSS blog. Why did we choose to publish a book of blogs rather than a textbook or peer-reviewed article? In my view there is space in the academic publishing world for peer reviewed works and self-published books. We chose to publish a book of blogs rather than a traditional academic tome because we wanted to create something quickly which reflected the concerns and voices of our members. Creating a digital text, built on people’s experiences and use of social media seemed an obvious choice. Many of our network members were already blogging about their use of social media for research, for those who weren’t this was an opportunity to write something short and have their voices heard. Unlike other fields of social research, social media research is not yet populated with established authors and leading writers, the constant state of flux of the field means it is unlikely to ever settle in quite the same way as ethnography say or survey research. The tools, platforms and approaches to studying them are constantly changing. In this context works which are published quickly to continue to feed the plentiful discussions about the methods, ethics and practicalities of social media research seem an important counterpoint to more scholarly articles and texts. Step 1 – Create a call for action: We used social media channels to publicise the call for authors, posting tweets with links to the network blog which gave authors a clear brief on what we were looking for. Within less than a fortnight we had over 40 authors signed up. Step 2 – Decide on the editorial control you want to have: We let authors know that we were not peer reviewing content, if someone was prepared to contribute we would accept that contribution unless it was off theme. In the end we used every submitted blog with one exception. This was an important principle for us, the network is member-led and we wanted this book to reflect the concerns of our members not those of an editor or peer-review panel. The core team at NatCen undertook light touch editing to formatting and spelling but otherwise the contributions are unadulterated. We also organised the contributions into themes to make it easier for readers to navigate. Step 3 – Manage your contributions: We used Google Drive to host an author’s sign-up spreadsheet asking for contact information and also an indication of the blog title and content. We also invited people to act as informal peer reviewers. Some of our less experienced authors wanted feedback and this was provided by other authors. This saved time because we did not have to create a database ourselves and was invaluable when it came to contacting authors along the way. Step 4 – Keep a buzz going and keep in touch with authors: We found it important to kp the book of blogs uppermost in contributors minds, we did this through a combination of social media (using the #bookofblogs) and regular blogs and email updates to authors. Step 5 – Set milestones: we set not just an end date for contributions but several milestones along the way tgo achieve 40% and 60% of contributions, this helped keep the momentum going. Step 6 – Choose your publishing platform: there are a number of self-publishing platforms. We chose to use Press Books which has a very smooth and simple user interface similar to many blogging tools like WordPress. We did this because we wanted authors to upload their own contributions, saving administrative time. By and large this worked fine although inevitably we ended up uploading some for authors and dealing with formatting issues! Step 7 – Decide on format and distribution channels – You will need to consider whether to have just an e-book, an e-book and a traditional book and where to sell your book. We chose Amazon and Kindle (Mobi) format for coverage and global reach but you can publish into various formats and there are a range of channels for selling your book. Step 8 – Stick with it… when you’re creating a co-authored text like this with multiple authors you need to stick with it, have a clear vision of what you are trying to create and belief that you will reach your launch ready to go. 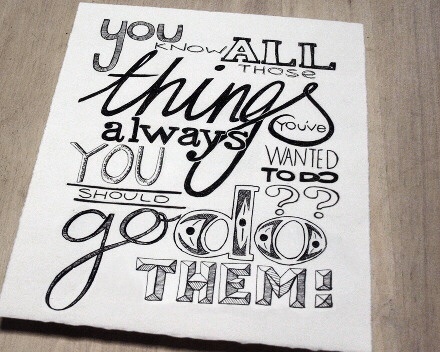 And we did, we hope you enjoy it. Watch a short video featuring a few of the authors from the Book of Blogs discussing what their pieces are about. Join the conversation today use #NSMNSS or follow us on Twitter @NSMNSS and you can buy the e-book here all proceeds go towards network events. PS – special thanks are due to David De Souza (@dds180) who started this ball rolling with his innovative curation of the HR book of blogs vol. I & II. Humane Resourced & This Time it’s Personnel. This blog was originally published on the NatCen blog here. It started with a tweet, a blog post and a nervous laugh. Three months later I found myself looking at a book of blogs. How did that happen?! Being involved in the NSMNSS network since its beginning has been an ongoing delight for me. It’s full of researchers who aren’t afraid to push the boundaries, question established thinking and break down a few silos. Social research as a craft, a profession, is all about making sense of the worlds and networks we and others live in, how strange would it be then if the methods and tools we use to navigate these new social worlds were not also changing and flexing. Our network set out to give researchers a space to reflect on how social media and new forms of data were challenging conventional research practice and how we engage with research participants and audiences. If we had found little to discuss and little change it would have been worrying, I am relieved to report the opposite, researchers have been eager to share their experiences, dissect their success at using new methods and explore knotty questions about robustness, ethics and methods. Our book of blogs, available as an ebook here, is our members take on what that changing methodological world feels like to them, it’s about where the boundaries are blurring between disciplines and methods, roles and realities. It is not a peer reviewed collection and it’s not meant to be used as a text book, what we hope it offers is a series of challenging, interesting, topical perspectives on how social research is adapting, or not, in the face of huge technological and social change. I want to thank every single author from the established bloggers to the new writers who have shared their thoughts with us in this volume. I hope you enjoy the book as much as I have enjoyed curating it. All proceeds from book sales will go towards network events which are otherwise unfunded. After about twelve months (and a bit!) of mulling on an idea spawned by the huge success of the ‘Humane, Resourced’ experiment by David De Souza I’ve finally bitten the bullet and got our #NSMNSS book of blogs underway. The mulling and let’s be honest procrastination was due to other more pressing work but also a slight worry that the concept just might not translate to our network which is dominated by academic researchers more used to publishing in peer reviewed journals. 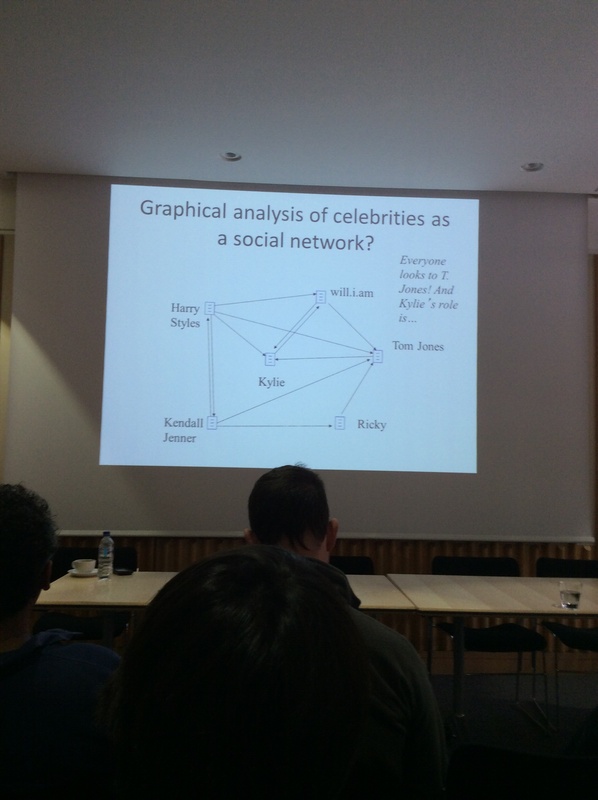 But I hoped that the folks working with social media in their research would be a receptive audience. 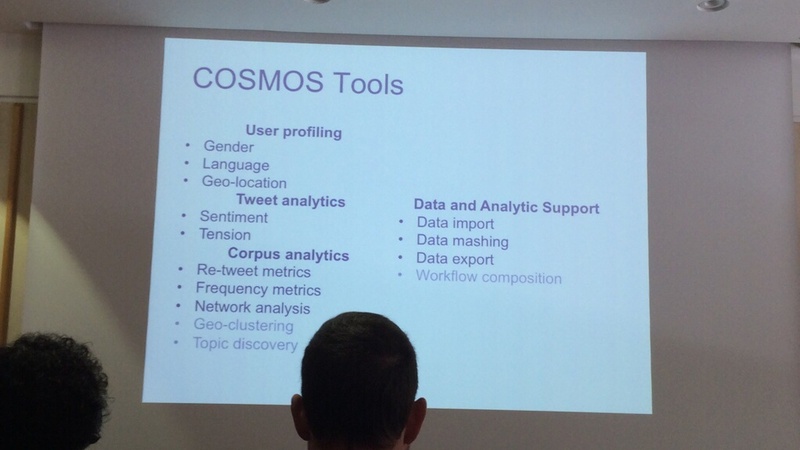 @cosmos_project: @jess1ecat @DrLukeSloan @w_housley @MattLWilliams @cosmosae . We would be very happy to contribute – great initiative, lots to reflect upon. @DALupton: @jess1ecat @thesiswhisperer @ThomsonPat It’s a great idea – maybe I could rework my blog piece on using Pinterest for research? @carljackmiller: @jess1ecat @JamieJBartlett it’s a great idea Kandy, very happy to submit a blog or two! Brace yourselves it’s going to be an exhilarating ride! The full blog calling for contributors and giving more detail is re-posted below. We’ve been thinking a lot at #NSMNSS about what types of activities the network should support next. One idea we’ve been ruminating on for a while is creating a volume of crowdsourced blogs on the impact social media are having on social science research methods. We got the idea for this from David De Souza (@dds180) and his hugely successful HR book of blogs Humane, Resourced which topped the best seller nonfiction business charts last year. We want to try and replicate this success and believe it will be a great showcase for network members to share their experiences and views about social media research with a wider audience. The broad idea is to reach 100+ pages of content collected from a multitude of contributors from across the social science world, in the UK and elsewhere. In the spirit of the network this will be a crowd sourced, digitally published volume. Our best guess at the moment is approximately 50 contributors giving one blog each of 3 pages each = 150 pages of insight & personal reflections. The theme of the book is how are social media blurring the boundaries of conventional research methods and practice? You can write about your experiences of using social media for research, new tools or methods you’ve used/developed or more conceptually about the challenges or opportunities shifting methodologies present to us as researchers. Give us a case study or not… Tell us how using new approaches improved or complicated your project… how you present your ideas or reflections is up to you. We’re also interested in how the research community is developing it’s capacity for using these approaches so if you want to write about teaching social media methods hop on board too! Once we can see the content coming in we’ll try to organise the volume thematically. It must be your own work, if you use diagrams, images they must be free to use & respect copyright. 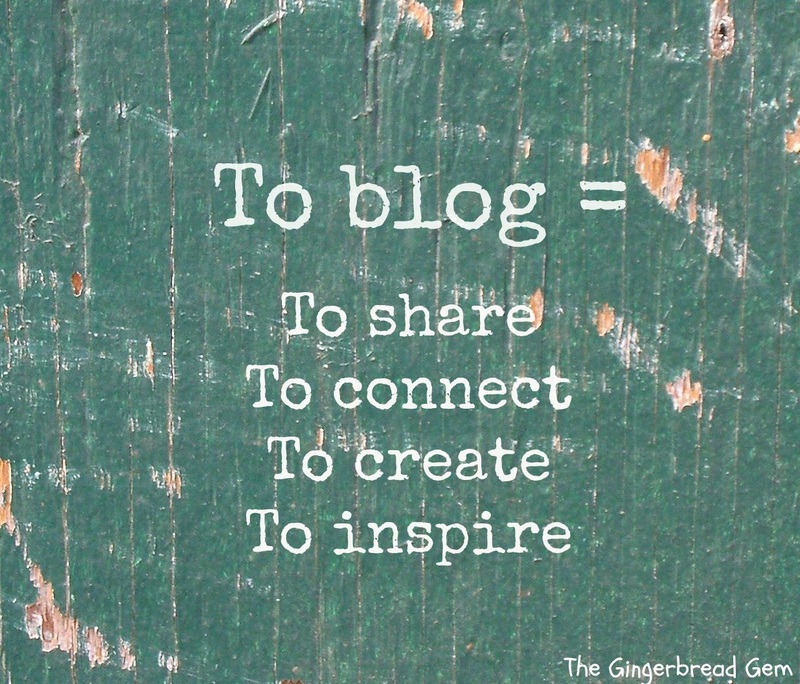 You can contribute one or two blogs. No more. We’re hoping to get to 50 blogs, more if more authors come forward. You can be as provocative as you like, but anything offensive won’t make the cut. Also you don’t have to be ‘fan’ of digital social research, we’re interested in blogs questioning these approaches too. You don’t need to be an established ‘name’ we’re interested in blogs from people at all stages of their research careers. We hope (and expect) that we don’t have a cut to make. We’re assuming the average blog will be about 1000 words long – a bit longer or shorter is fine, but we won’t publish a paragraph or a long treatise – unless they are really good 😉 if we do have to make a cut we’ll talk to potential contributors about a fair way of doing that. We aren’t planning on a protracted editing process but we will offer to review your draft blog for you and make suggestions, give constructive feedback. We’re looking for volunteers to form an editorial support group to provide informal feedback, let us know if you’re up for that. The book will be self-published as a digital volume, and distributed electronically. We are planning to make a small charge for the final volume (we’re thinking less than £5) any proceeds will go towards supporting #NSMNSS network events in the coming 12 months. The main focus and goal of the book is about is about sharing knowledge, showcasing some great work and not about making money. It’s about giving people a chance to express new ideas, share what they’ve learnt and challenge accepted orthodoxies of research practice. It’s about creating a volume of interesting perspectives from a new and developing field of social research. Once you are signed up just get writing. We’ll let you know more about the process for collation in the next month, we’ll collate blogs over the next eight weeks and publish within the next three months. If something is worth doing it is worth doing quickly. Hope to hear from you – and we’re accepting proposals for titles too! Please share this widely and let your fellow researchers know, the more the merrier! The 4th annual SRA conference on social media in social research took place on May 16th. As I mentioned in my previous post the theme of the event was future challenges and I was pleased that the six challenges I’d highlighted in my post resonated throughout the day. It was a packed event with some really interesting and thoughtful presentations. Dan Nunan (@DanNunan) from Henley Business School kicked off the day by challenging us to consider the legal issues of consent and data access in this time of increasing legal regulation. I was particularly taken by his consideration of the nature of informed consent in social media research. He reminded us that most social media users barely scan, if they read them at all, the terms & conditions of the platforms they use. With this in mind he suggested the position taken by some researchers that use of data taken from publicly available social media is ‘fair game’ might be suspect. At best he argued we have ‘uninformed consent’, it might be legal but is it ethical? Dan wanted us to think about whether we need to conceive a new form of informed consent, he talked about ‘participative’ consent where consent is sought frequently and explicitly from participants. And he cautioned that the voices of researchers in the social sciences have not been heard well enough in current legislative debates around the use of personal data. He drew our attention to the EU’s potential legislation requiring explicit consent (see picture bar above) which could have far-reaching implications for our access to data posted on social media. Challenging stuff so it was good to hear Samantha McGregor (@sammibmcg), Senior Policy Manager at the ESRC talk about how the research councils are engaging in this debate giving researchers a collective voice. 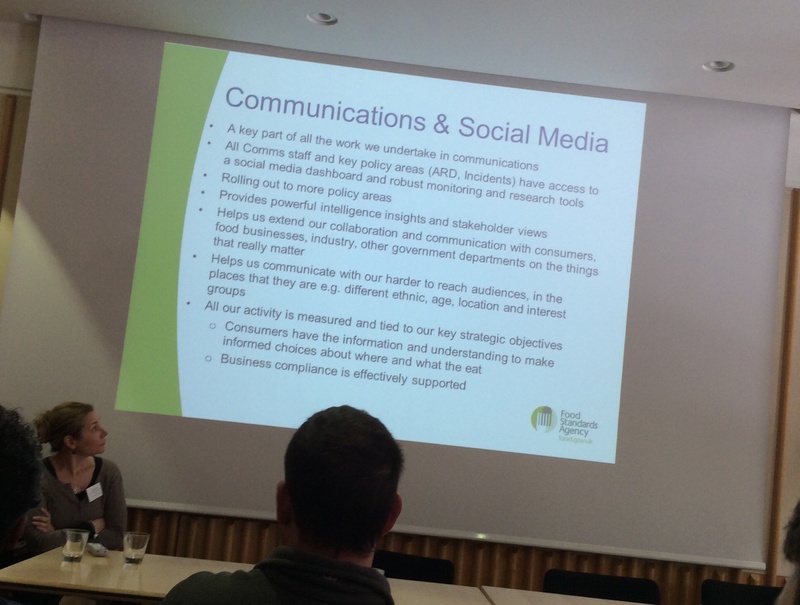 Then we heard from Joanna Disson & Jamie Baker at the Food Standards agency about how they have been making forays into using social media in government social research. A fascinating case study showing that the tide may be turning in government research towards accepting social media data as one of a number of sources of evidence to inform policy-making. They have been tackling a prevailing scepticism about the reliability, integrity and robustness of social media research by commissioning a think piece from Dr Farida Vis (@flygirltwo) and by using social media in a number of small-scale experiments as part of their ongoing research projects. The team have been instrumental in setting up a small group of government social scientists who are keen to explore how to use social media research. It was interesting to hear how the relationship between communications and research has been key to making this happen and heartening that social media research and engagement is becoming more important in the FSA’s social policy research. Joanna and Jamie described how using social media both as a platform and as a tool for gathering research intelligence helps the FSA to stay in touch with hard to reach audiences and collaborate better with interest communities like the food industry. Next up were a team from TNS BMRB Scotland presenting a case study of their social media work analysing Facebook data and the Scottish Independence debates. What was interesting here was how Preritt Souda (@preriit2131) and Alistair Graham have been comparing the findings from their analysis of Facebook posts to the main pages of the Better Together and Yes campaigns to the more conventional methods of polling.They have found some differences in public opinion looking at both sets of data comparatively and I’m sure there is scope for more work of this type comparing and contrasting the attitudes of the public in different spheres of political and other debate. After lunch Dhiraj Murthy (@dhirajmurthy), from Goldsmiths University, did a terrific job of re-energising us with his talk introducing social network analysis of social media, he provided lots of insight into how critical sociology can be enhanced by this type of analysis and gave useful pointers for researchers new to this area. We were particularly taken by his example of SNA for The Voice UK and it will surprise no one to learn that whilst Kylie is the super-connector it’s Tom Jones who leads the lack as the super-ego! Seriously though Dhiraj was able to convey the methodological challenges of these approaches but also their very valuable contribution to applied research topics from race and racism through to health promotion and extremism. He was a strong advocate of the application of a critical eye to all social media methodologies so that social scientists can make use of their contribution to exsiting debates without falling foul of accusations of bias or unrepresentativeness. Samantha McGregor then gave the conference an update on the ESRC approach to social media research. It was good to hear a reiteration of the ESRC’s commitment to new forms of data as a priority area for investment but disappointing to have confirmation that budget constraints mean there will not be another major call for research in this area this year. The ESRC has also decided to look at other new forms of data such as CCTV alongside social media research. Samantha explained the many and varied ways in which the ESRC is already supporting developments in this area and confirmed that Professor David DeRoure (@dder) is now working alongside the ESRC team as a strategic advisor for social media research to ensure that future investments and initiatives are aligned to work being done by the other research councils in the UK and internationally. There was a strong emphasis on cross-disciplinary approaches to new forms of data. The session ended with a rallying call for social researchers to contribute to the current BIS consultation on spending priorities for the coming year, you can do that here. The last paper of the day was from Suay Ozkula (@suayozkula) it was a fascinating introduction to her PhD research on digital activism at Amnesty International. Her project is a ‘multilayered ethnography’ and it was great to end the day with a real focus on more qualitative approaches to social media research. Suay has been working at Amnesty International during this process and as such has been able to capture a real insider account of how one third sector organisation is grappling with the new challenges posed by ‘digital activism’ including trying to establish a working defination of what it is and how it differs from the traditional forms of activism Amnesty International has been engaged in. The day ended with a Question Time style panel chaired by Simon Haslam representing the SRA and involving myself, Rob, Dhiraj and Dan. It was rather better behaved than the BBC version and we were at times dangerously close to being in violent agreement with one another. We tackled questions from the floor including: how we can build adequate capability for these new methodological approaches; how are participants in research viewing our use of their data; how should we tackle the legal and ethical implications of social media research; and , how we can address the concerns of those worried about the representativeness of social media data. On the first point our thoughts included making sure the method, tools and critical thinking around social media research are included on university curricula, and reinforced by DTCs; ensuring that opportunities for development are given to existing lecturers, ethics board members and research commissioners; looking to build opportunities for development in all sectors of social research so that the research agenda is driven by many different approaches and not dominated by one approach/set of approaches; incorporating peer led workshops and events to build cross-disciplinary collaborations and to enable us as a community to keep pace in this fast changing area; Rob made the case for supporting the development of citizen social science by encouraging us to share our knwoeldge with the public both on projects and in developing new ideas and solutions through events like Hackathons and data dives. In terms of making sure the concerns of social science are addressed in ongoing discussions about the legal and ethical frameworks for access to public data, we were all of one voice arguing that we as individuals and professional bodies need to start talking quickly and loudly about the benefits of social research using social media data for the public interest. On the final point about assuaging concerns about the representativeness and robustness of methods the panel and audience discussed the need to be confident about the methods we use, be critical in our use of new data and new social media and be prepared to make the case for the benefits and insight research in this area can add to our existing understanding of social life. The SRA will be publishing the event presentations on their website shortly and you can also see all the tweets from the event here. Learning curves, we’ve all had them. Some are extremely enjoyable, exhilarating and satisfying, in other cases the ride is less pleasurable, the curve is just too steep or rocky. 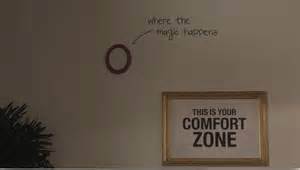 Over the last two years I’ve been riding the learning curve of setting up a community of practice. I’m glad to say this curve has been enjoyable but I’ve learnt a lot and this post reflects on that learning. 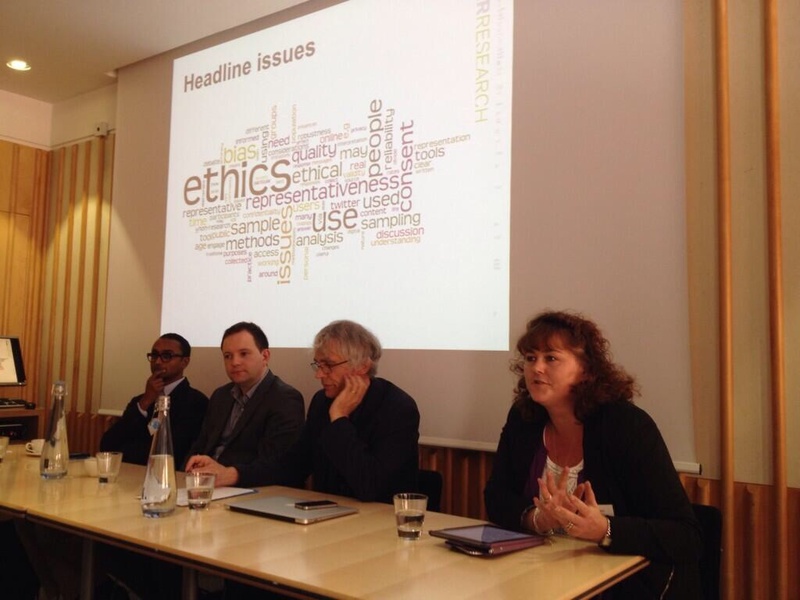 In 2011 I was part of a team from NatCen Social Research, Sage Publications and the Oxford Internet Institute who launched a peer-led network for researchers using social media in their research studies. 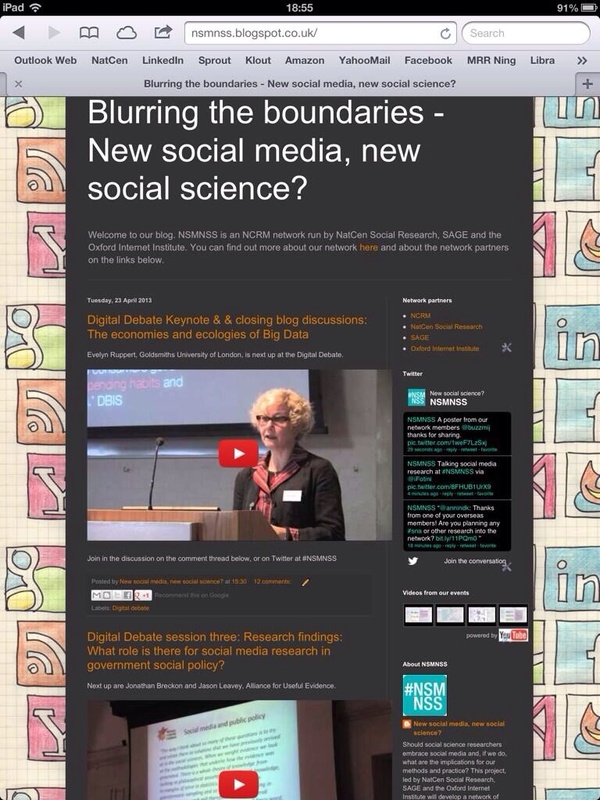 You can read more about the ‘New Social Media, New Social Science?’ network on our blog. Social scientists have been exploring digital behaviour for over twenty years, so digital research methodology is a growing but pioneering field which needs to respond swiftly to a changing technological landscape. By 2011 tools like Facebook, Twitter and You Tube were embedded into daily life and social researchers had realised that there were insights to be gleaned from the behaviours and opinions voiced on social media. We wanted to create a reflective space where researchers could come together to learn more about how turning a sociological gaze onto social media might change or challenge our practice. Our aim was to create an enduring network of researchers who could share ideas or approaches and challenge each other to push our practice forward. 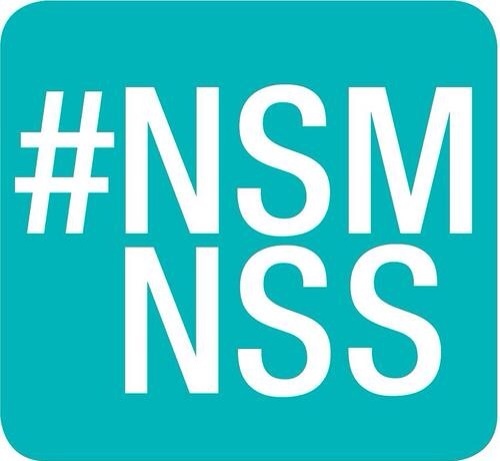 Two years in, we have over 500 members worldwide and have recently handed over the reins of our main @NSMNSS Twitter account and blog to members of the community. 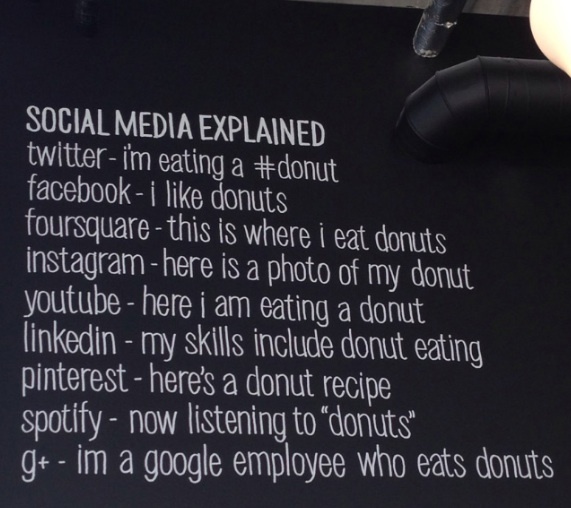 I’ll post more about the fascinating things we’ve learnt about doing social media research later but in this post I want to focus on building the learning community. They utilise the power of social and experiential learning to develop shared skills, cultures and values; new practices, techniques and tools; alternative models of thinking and novel approaches to persistent challenges. Widely used for continuing professional development the model was well suited to the goals of our network around facilitating shared learning and knowledge exchange. Communities of practice use a range of learning and development strategies to share ideas and we aimed to create a similar blend of activities. We were lucky enough to receive funding from NCRM in our first year which paid for a series of face-to-face events but most network activity needed to happen online. 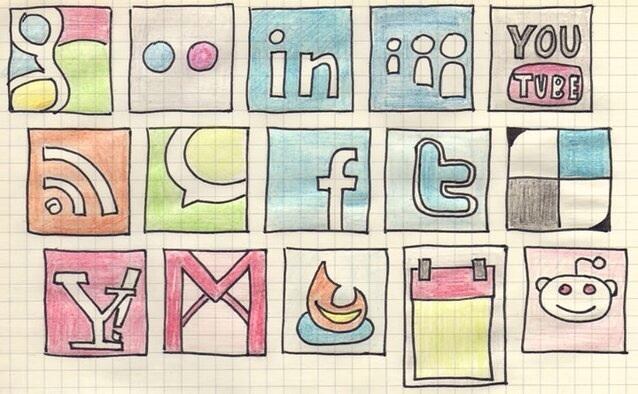 Luckily, social media have extended the field of play for communities of practice. Tools like Twitter, Facebook, Ning and blogging tools can be used now to support community activities and enable members to participate in synchronous and asynchronous discussions of their practice and we set out to make full use of these social tools. Being active online was critical in building and maintaining our network it helped us keep network discussions moving, engage participants who could not attend the face-to-face events and build a network that drew in researchers from around the world. We started out with a Twitter account, You Tube channel, Blogger account and Methodspace group (Methodspace is a Ning community platform for social scientists run by Sage). 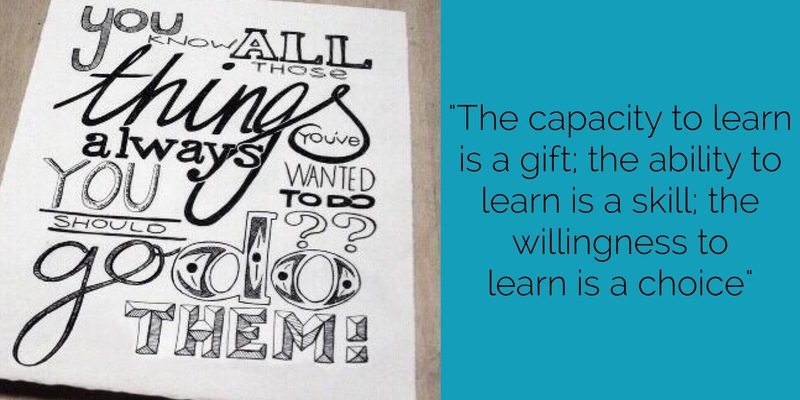 So what did our learning curve teach us? Engagement 101: keep it simple. Get creative, come up with a catchy, short name for your community! Our name spelt out what we were exploring but it was a mouthful and I can’t think of a single event when someone hasn’t tripped over it, even the acronym NSMNSS doesn’t exactly trip off the tongue. Building a visually engaging, easy to use platform is critical for developing an online community. Find the right platform to act as the hub of your network, then create spindles from that to provide a richer source of resources and engagement points as needed. We started with too many platforms which diluted their impact and confused new members. As our community developed, activity crystallised around our Twitter account and blog, and our dialogue was tighter as a result. It’s hard work and takes more time than you’ll anticipate. New networks need the active involvement of ‘community gardeners’ or ‘facilitators’ to ensure that engagement is sustained and the content, connections and community are nurtured. People do come if you build it (and promote it) but they won’t stay unless you give them a reason to. You need to be there to keep conversations moving, help new members find their way around and encourage existing members to contribute. This sounds obvious but it’s important to think about your community and who they are. Ask them regularly what they want. We used quick Survey Monkey polls and tweeted questions, as well as Doodle polls and other tools to find out about people’s interests and context. Our developing network was global, spread across several time zones, so we had to be mindful of when we ran online activities and take care to create asynchronous resources for learning outwith the live events and debates. We also had to consider cultural and legal differences which might affect the experiences of network members in different regions. Actively involve your members, otherwise you’ll end up broadcasting at them. We found this frustrating initially until we learned how to entice members out of their watching mode. Early on we invited member blogs from researchers but a critical breakthrough came when we introduced a regular Twitter chat. This created energy in the community, drew people in and provided volunteers for more structured learning sessions. We recruited members to present case studies of their research, share their experiences of the tools & methods they had used at ‘how to’ sessions and take part in Q&A sessions. This meant the agenda was built from the members up and that we sometimes needed to review our own assumptions and ideas about the direction of the community which was no bad thing. You don’t have to be an island. Reach out to related communities, cast about for groups and networks with similar or related interests, see if you can support one another. We ran co-hosted events with related groups including the PhD forum #socphd which opened our network to new audiences and widened the voices heard in our discussions. Reciprocity is key in building online connections so we tried to remember to give back by RTing and promoting our fellow networks’ news and shares. You can also learn a lot from how other unrelated communities operate. 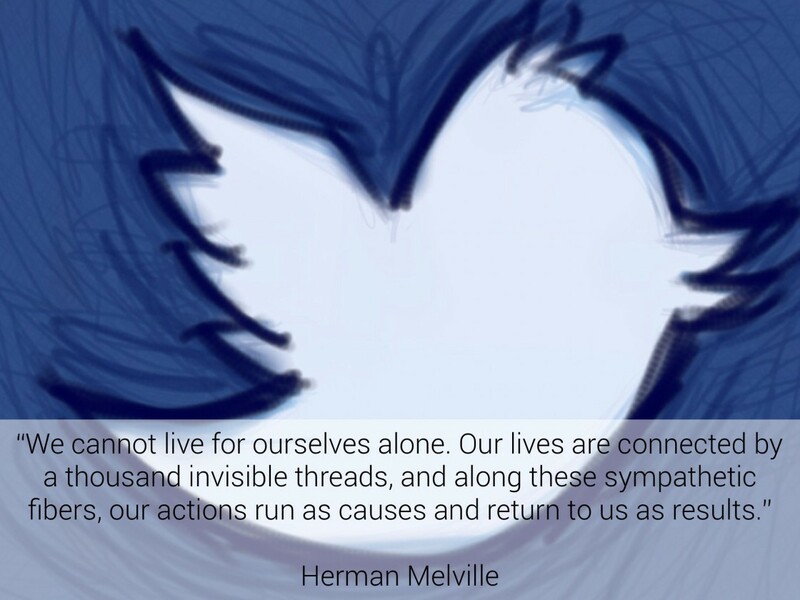 NSMNSS owes a debt of gratitude to the #cht2lrn community who showed us the way around Twitter chats and set a great example of member led community learning. Try to make the walls of your network porous. Think about who’s missing, be open and inclusive to avoid becoming an echo chamber (thanks to @sukhpabiel for reminding me of this) where members repeat the same points and discussions with one another without ever hearing dissenting voices or alternative perspectives. It’s been fantastic to have researchers from the arts & humanities, physical sciences & computing involved in the community, this has really helped us to understand how social media research is breaking through disciplinary boundaries. But we’ve been acutely aware that our community is low on members from the social media industry and we know this has limited our learning, we’re still trying to reach them so if you happen to know anyone at Google, Twitter or Facebook do let them know about us! Establish a rhythm for the community, do things at regular intervals so that the community knows when things are happening. We found it helpful to run a Twitter chat before an event to rehearse the issues and set the themes for debate, we ran guest blogs & published transcripts of the chats to spark thoughts before the event. On the day we live tweeted events, streamed or videoed speakers, and then followed up by posting those resources and event blogs. Members liked the rhythm of familiar activities and having a rhythm means you can mix it up when things are flagging and need an injection of energy. On that note, try new things and experiment, they won’t all work but that’s OK. we hadn’t planned to run Twitter chats but we decided to give it a whirl after people picked up the hashtag #NSMNSS to share resources and build connections. After the first few agonising moments when we thought we were tweeting into a black hole (if you’ve ever run one you’ll know that feeling!) the format took off and we ended up running regular, themed chats. Above all, remember to enjoy it, a buzzing group of members sharing ideas and learning from one another whether in real time or online is a hugely satisfying moment to be involved in. How does this compare to your own experiences of building or participating in communities of practice, I’d love to hear your views?